The world’s most badass science explorer, Dr. Greenclothes, and his family go on weekly adventures to discover the nature of reality. Veronica is the world’s foremost detective. Though she is as interested in solving the mysteries of reality as much as her husband is, she’s a lot more interested in dealing out justice. Because of her, many of the family’s more benign scientific experiments turn into fights against crime cartels or international supervillains. Sometimes this annoys Dr. Greenclothes, but Veronica always makes him see how good it feels to fight crime. As an unrelated side note, Veronica has an irrational fear of sepia-toned photos. Debbie is not yet as badass as her parents, but that is mostly because of her age. Occasionally people worry if it isn’t too dangerous to be dragging a child along on the family’s various quests, but nobody can deny their ability to protect the kid. Debbie does like her life, but sometimes wishes she could make some normal friends. After all, imagine how great it would be to have your friends constantly telling you how badass you are. 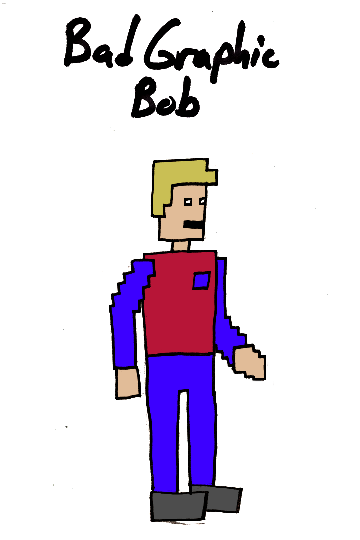 Bob once conducted an experiment to prove the idea that the universe was just a computer simulation. Though the experiment backfired, and turned Bob into a pixelated person, it impressed Dr. Greenclothes, who took Bob on as an assistant. They have since become best friends and continue to experiment together. While his professional life is going well, he’s a bit of a loser socially. 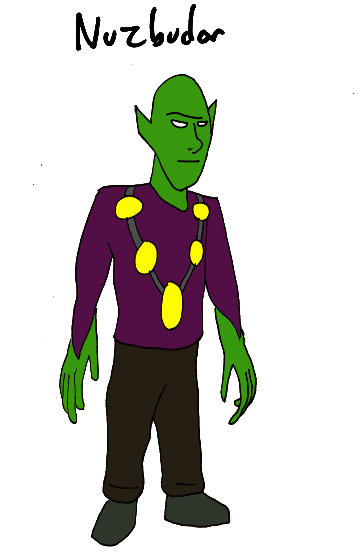 Nuzbudar is a Dimension Goblin who works as a science dealer. 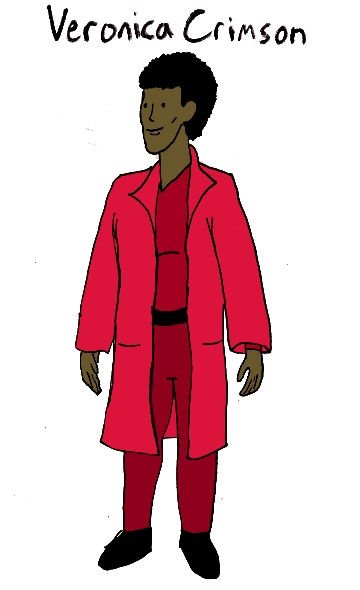 It sells scientific equipment to the highest bidder, which means it could be on Dr. Greenclothes’s side, but it could also be against him. Anything for a sweet sweet buck. 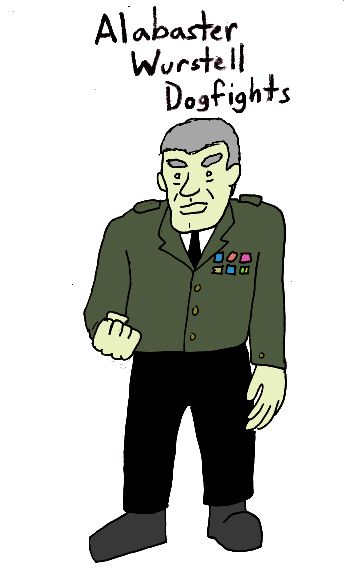 Commander Alabaster Wurstell Dogfights is a military man who thinks that Dr. Greenclothes and his family have no right being as badass as they are. That level of badassery, Dogfights insists, should be reserved for the military. With that in mind, Wurstell frequently tries to sabotage the family’s experiments, or to have experiments of his own that tend to go badly. 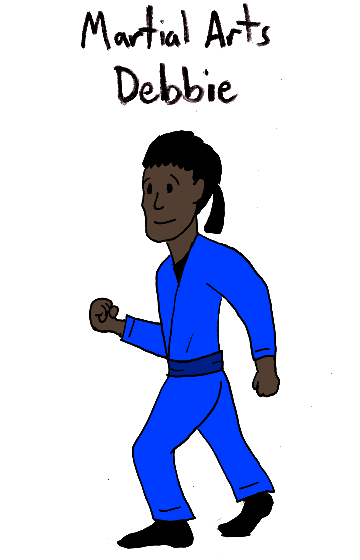 This is another self-serving excuse to expand my characters, but it could maybe work as one of those animated shows that is as forcused on action as much as comedy.